Poster with Ahmadinejad's photo reads "Welcome"
Iranian president Mahmoud Ahmadinejad made an official state visit to Lebanon on October 13 and 14. In addition to the warm reception he received in Beirut, he also was honored repeatedly as he visited towns in mostly Shi'a southern Lebanon. The area is dominated by Hizballah members and sympathizers; that was obvious by the sea of yellow Hizballah flags in the crowds. Ahmadinejad took advantage of being close to his archenemy Israel by going to the border between Lebanon and Israel. Not only did he visit the border, he chose several significant towns on that border. Two of them, Marun al-Ra's and Bint Jubayl, were scenes of bloody fighting in the 2006 war between Israel and Hizballah. While the Iranian president toured the area around Marun al-Ra's, Israeli helicopters patrolled over the closest Israeli town, Moshav* Avivim. Marun al-Ra's was the first village to be assaulted by Israeli ground forces in 2006; those forces staged from Avivim. I was a military analyst for MSNBC at the time. The signs in Hebrew and Arabic were easily visible during the preparations for the Israeli ground offensive. Ahmadinejad also visited Bint Jubayl, just over two miles from the Israeli border. Bint Jubayl has always been a Hizballah stronghold. As such, it was the scene of brutal fighting in the 2006 war. In the end, it was virtually flattened by Israeli forces. 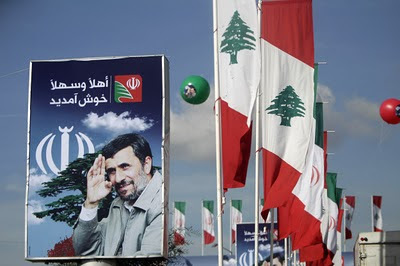 Why shouldn't the Iranian president visit southern Lebanon? After all, Iran funded much of the recovery, both to the general population and to Hizballah. After the end of hostilities in 2006, Iran immediately resupplied Hizballah in direct violation of United Nations Security Council Resolution 1701. Hizballah claims, and Israeli intelligence agencies agree, that they have more and better weapons than prior to the fighting in 2006. These weapons include rockets and missile capable of reaching Tel Aviv. There have been press reports, likely leaked by Israeli military intelligence, that Syria is training Hizballah personnel on the Scud missile system. This would represent a major increase in the Hizballah capabilities. See my earlier piece, Hizballah and Scuds - an Israeli red line. Not only did Iran provide weapons to Hizballah, they provided millions of dollars to the devastated villages and towns of southern Lebanon and the Shi'a sections of west and south Beirut. While western aid agencies were trying to get organized, Iranian aid officials took advantage of Hizballah's existing social network in the area and provided much needed, and appreciated, aid quickly and effectively. The Shi'a of southern Lebanon regard both Hizballah and Iran as their protectors and rescuers. It is no wonder that large crowds of cheering Shi'a turned out to welcome Ahmadinejad. I am not naive enough to think that Iran's assistance is totally altruistic. It is true that the Iranians share a common heritage through the Shi'a sect of Islam. It was Lebanese Shi'a who brought that branch of the faith to Iran centuries ago. However, it goes beyond that. Iran now has a proxy armed force on Israel's northern border, one that responds to its tasking. After all, they provide virtually all the money, weapons and training necessary for the group's existence. Iran's ties to Hizballah date back to 1982; it was elements of the Islamic Revolutionary Guard Corps' Syria and Lebanon contingent** that created Hizballah as a resistance group targeted against the Israeli occupation of the southern part of Lebanon. Over the intervening years, Hizballah has received hundreds of millions of dollars from Iran, not to mention an impressive arsenal of weapons, including long-range rockets, that it has used continuously against Israel. Using Iranian money, Hizballah has been able to become one, if not the, most powerful political forces in the country. The group has won a large number of seats in the country's legislature and has even secured veto power over virtually all actions of the Lebanese government. Iran can call this a success; Ahmadinejad was here to take a victory lap. The U.S. State Department has made the usual statements that the visit was "a provocation that undermines Lebanon's sovereignty." At that fearsome tirade, I am reminded of the axiom, "Money talks." The Iranians have again outmaneuvered the rest of the world by providing a needed service. The United States provides platitudes, while the Iranians rebuild schools and medical clinics, and handout cash to displaced residents. Ahmadinejad embodies that assistance. Western-backed parties in Lebanon (that normally means Christians) warned that Ahmadinejad is seeking to transform Lebanon into "an Iranian base on the Mediterranean." News flash: They already have. The Israelis, who live in the region, were much more cogent in their analysis. 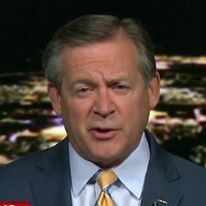 Their spokesman said that Iran "has turned Lebanon into an Iranian satellite and made Lebanon a hub for regional terror and instability." * A moshav is a type of cooperative that is less communal than a kibbutz. In a moshav, people own their own homes and work their own land. They are popular among American Jews exercising aliyah (Jews returning to live in Israel).More here. ** This force later became the nucleus of the IRGC special operations group known as The Qods Force.